Have you a blog focused on aquariums? Have you tried one of our products and have you written something about? Let us know and we will happy to publish on this site, twitter and facebook. Reefs.com blog has reviewed our Equo Allium "it’s one of the most important ways to help fish afflicted by Cryptocaryon irritans". The popular Reefs.com blog has talked about our Menù Spirulina "Our goal is to give a well balanced food to these beautiful fish; the feed has to have a high concentration of plant material and a low concentration of protein". The popular Reefs.com blog has talked about our Remover NH3 "Equo Remover NH3 neutralizes toxic ammonia, transforming it into a harmless, easily-filtered molecule, the amino methanesulfonate salt. Remover NH3 also eliminates chlorine and chloramine. The product contains Aloe Vera extract which increases immune defense and health of the fishes’ epidermis and gills, due to its richness of Acemannanes and Glycosides. In this way, Remover NH3 also reduces negative stress effects". 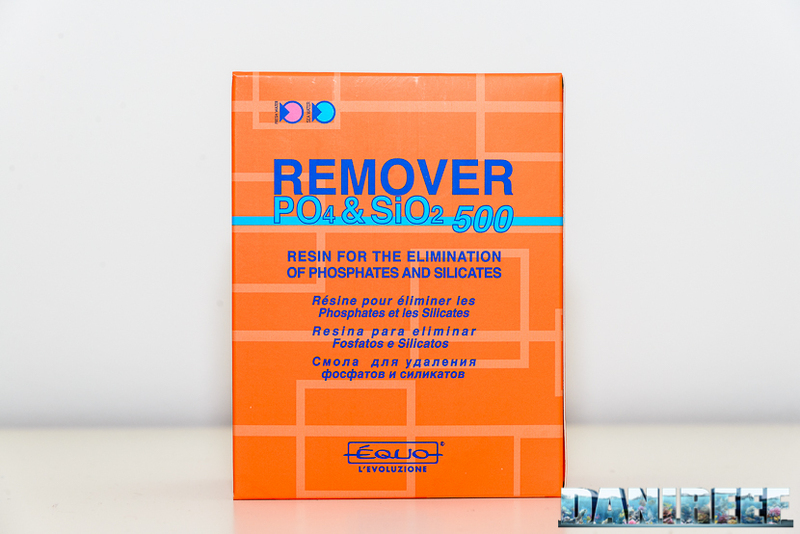 The review about our Remover PO4 & SiO2 on DaniReef "We can sum everything up by saying that considering the several differences between tanks, if you have a problem with phosphates you will probably benefit from using this product". The review about our marine salt Essenza Reef on the United States blog Reefs.com "I really liked Equo‘s Essenza Reef, and consider it a good salt to use in a SPS dedicated tank, having seen the optimal coral response and the measured values." The review of our fish food Menù Marino on the United States blog Reefs.com: "I really liked Equo Marine Menù granules. I cannot ask my fish if they liked it, I fear I won’t be able to interpret their answers… but considering how they greedily feed on it every day and the fact that no death has occurred in six months, I feel satisfied with the quality of this food"